There’s too much hotness to handle in this photo of Ryan Gosling and Ryan Reynolds posing together at the 2016 Critics’ Choice Awards! Both of the actors were double nominees at the event and Deadpool‘s Reynolds beat out The Nice Guys‘ Gosling in the Best Actor in a Comedy category. This isn’t the first time that the two Ryans have met. 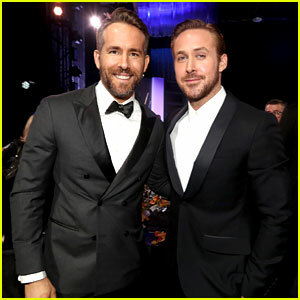 The last time that they were photographed together was at the 2005 Teen Choice Awards over 11 years ago, when Reynolds presented the award for Choice Movie Chemistry to Gosling and his The Notebook co-star Rachel McAdams. Check out the photo from that moment below and check out how little Emma Roberts was while sharing the stage with the guys! 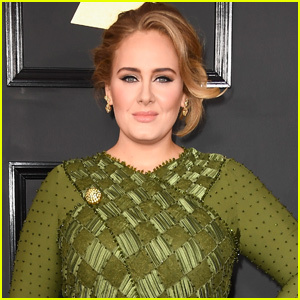 Tracee Ellis Ross and Julie Bowen were just two of the many celebs who indulged in some of the sweet treats at the 2016 Critics’ Choice Awards! The ladies, who were both nominated at the show, dug into desserts like the Goodie Girl Gluten Free S’Mores and the Cookie Pop Popcorn Krispie Treats. Another one of the yummy snacks featured at the event were mac and cheese balls made with Pasta Bow Ties Smooth Cheddar. 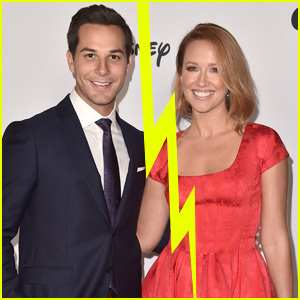 Some of the other stars who were served the desserts included Justin Timberlake, Jessica Biel, James Marsden, Mandy Moore, and winners Evan Rachel Wood, Lucas Hedges, and Sterling K. Brown. We have the exclusive scoop on how to make all of the treats featured at the awards show. Go check out the recipes right now! Perfect Snax CEO Frank Florio, Goodie Girl Cookies CEO Shira Berk, and Vintage Italia Pasta Chips CEO Jerry Bello all hit the carpet together with their delicious snacks in hand. See more photos in the gallery! The cast of Modern Family stepped out together to support the series at the 2016 Critics’ Choice Awards! Ty Burrell, Julie Bowen, Eric Stonestreet, Jesse Tyler Ferguson, Sarah Hyland, Ariel Winter, and Nolan Gould were all in attendance at the event on Sunday night (December 11) at Barker Hangar in Santa Monica, Calif. The show was up for Best Comedy Series, but unfortunately didn’t win. FYI: Sarah is wearing a Vera Wang dress, Giuseppe Zanotti shoes, and jewelry by Lorraine Schwartz and Ofira Jewels. Ariel is wearing an Uel Camilo dress, Casadei shoes, and Neil Lane jewelry. Julie is wearing a Monique Lhuillier dress, Jimmy Choo shoes, and a Tyler Ellis clutch. 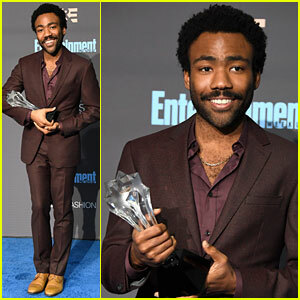 Congrats to Donald Glover – who won the Best Actor in a Comedy Series for his work on Atlanta at the 22nd Critics’ Choice Awards! Donald had some stiff competition but the new series proved to be a major hit over at FX – congrats again, Donald. 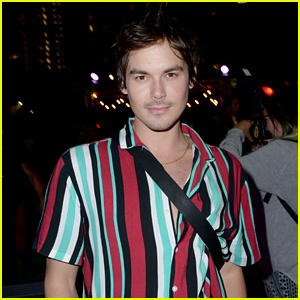 Also in attendance at the show were Walking Dead‘s Norman Reedus and Steven Yeun, as well as Scream Queens‘ Glen Powell. If you missed it, be sure to check out the full winners list from the show. FYI: Norman is wearing a Givenchy tuxedo and Christian Louboutin shoes. 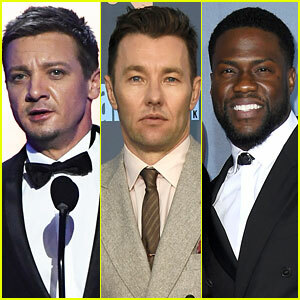 Jeremy Renner presents on stage during the 22nd Critics’ Choice Awards on Sunday (December 11) at Barker Hangar in Santa Monica, Calif.
Also in attendance at the show were Joel Edgerton, who was nominated for his work in Loving, and Kevin Hart, who brought along his wife Eniko Parrish. If you missed it, be sure to check out the entire winners list for the show, which just wrapped up! And if you want to see the show from the beginning, it just began re-airing on A&E. 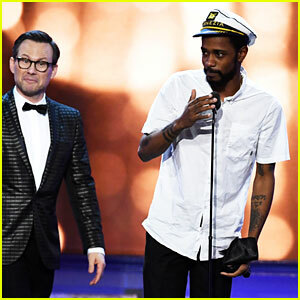 In one of the most odd moments of the night at the 2016 Critics’ Choice Awards, actor Keith Stanfield crashed the stage to accept an award that was presented to the television show Silicon Valley. While the executive producer of the HBO show was walking on stage to accept the award for Best Comedy Series, Keith rushed on stage first to speak to the crowd. “I want to thank everybody for honoring us in this way. We worked very hard on Silicon Valley and here we are. Thank you!” he said while dressed in a sailor hat. Tom Lassally, the Silicon Valley producer, said he had “no idea” who Keith was when he addressed the crowed. Watch the video below! Keith is best known for his work in the films Straight Outta Compton, Snowden, and Short Term 12. He stars on FX’s Atlanta, which was also nominated for Best Comedy Series.